Who’d a thunk it!? It’s almost 35 years that the king of rock and roll, Elvis Presley, passed away. As such, it’s almost 35 years that people have been seeing said fallen star in their favourite local burger joints. But Elvis’ legacy lives on through the love of his fans. Now Sony is wishing to commemorate the king’s life through a brand new release entitled ‘By Request’, where his Aussie fans are being asked to give their suggestions as to which tracks should make the cut. Sony will then whittle it down to the top 40 responses, which will all be included on the double disc set, to be released to co-incide with the 35th anniversary of the star’s demise. Sony informs us that Australia is the only country in the world that has been given the permission to compile this album. 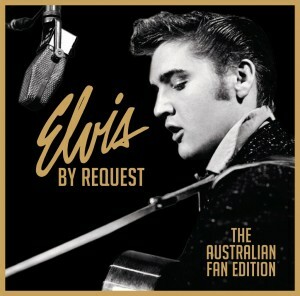 So get voting over at www.elvisbyrequest.com.au. Voting is open until July 13. ‘Elvis : By Request’ will be released into stores on Thursday August 16.